One of the best steak sauces in this world! It's super simple because it's made using the steak drippings and either brandy or cognac. 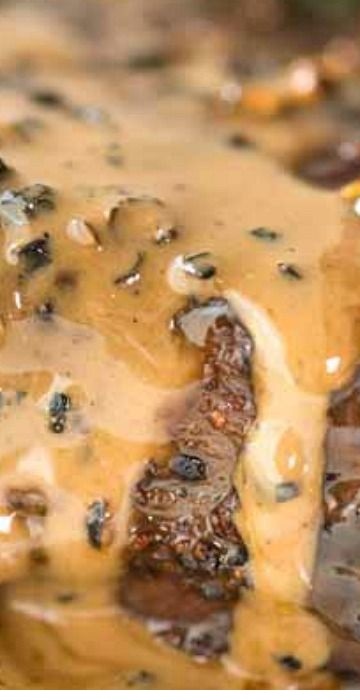 The alcoholic taste is cooked out and you're left with an amazing sweet/savoury/creamy sauce with great depth of flavour and beautiful pops of heat from the peppercorns. Use crushed black peppercorns for spicier or canned green peppercorns for more mild heat. Take the steaks out of the fridge 20 minutes before planning to cook. Crush the pepper using a rolling pin, mortar and pestle or the side of a hardy knife. Just before cooking, sprinkle both sides of steak generously with salt and black pepper.